Nuala Kennedy is an experienced practitioner who works with children, adolescents, parents and foster carers with over 18 years experience working with families in the field of social care. Her career includes working in the areas of child protection and welfare, youth projects, residential care, community care and special needs. Nuala is a graduate of the University of York with a Higher Diploma in Play Therapy and Waterford Institute of Technology with a National Diploma in Social Studies and a Bachelor of Arts in Social Care. Nuala has also attended numerous trainings in therapeutic approaches to working with children and families. 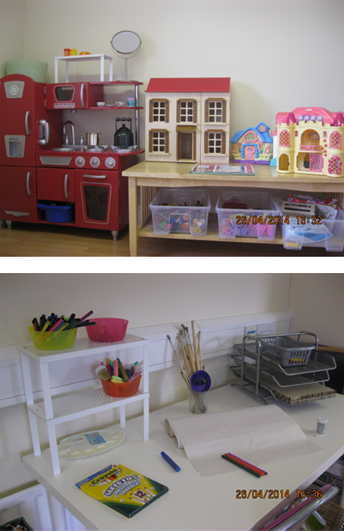 Nuala offers play therapy, parenting support and therapeutic work to family members. Nuala works from a developmental perspective. Play therapy offers a non-directive assessment and therapeutic approach to working through a child’s/adolescents issues. The therapy works by allowing the child to take the lead, which works towards the child expressing their issues in a safe, child friendly and playful manner or through age appropriate chat about the problem. Responses to the child expressing their feelings and emotions whether through play or chat offers them opportunities to work through issues. Consistent weekly sessions promote building a therapeutic relationship. Progress in the playroom/therapeutic space usually transfers into the child’s real world outside the playroom, promoting healthy emotional and social development. Nuala is a member of the following professional associations: Irish Play Therapy Association, Irish Association for Infant Mental Health and Irish Association for Social Care Workers.